The story of Robert and Jennie Butchart started in Ontario like Tim and I. Robert and Jennie came to Vancouver Island in 1904 to develop a quarry and cement plant at Tod Inlet. Jennie was the company’s chemist, which is a pretty amazing occupation for a woman in the early 1900s. Tim and I moved to Victoria on Vancouver Island in May of 2014 to extend our outdoor filming season and we were also lured by the stunning scenic backdrops for our videos. Over time, Robert Butchart found that the limestone deposits were being exhausted. It was Jennie, was the business woman in their relationship and she had a vision to transform the abandoned quarry into a garden. Jennie had tons of topsoil brought in by horse and cart and used it to create the base for her garden. It kind of reminds me of when Tim, Trinity and I first moved to Victoria, with nowhere to live, no furniture and no plan. Finally, we found an empty apartment and we would drive around with furniture strapped to the roof of our ten year old mazda protege. Everything from mattresses, dressers, tables and desks while Trinity was at school. This is how we started to build our life again. The only surviving portion of the original cement factory is the tall chimney of a long vanished kiln which you can still see from the sunken garden lookout. The plant stopped manufacturing cement in 1916, but continued to make drain tiles and flower pots until the 1950s. 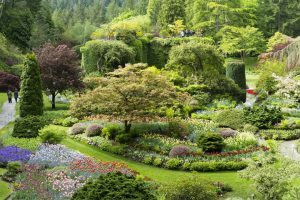 Butchart gardens has seen many developments over the years : summer symphony concerts, firework shows, Japanese gardens, Italian gardens and rose gardens. It makes me think about all the evolutions of Yoga with Melissa over the last almost 9 years now. From Yoga philosophy, Hindu Mythology, Beginner Yoga Classes, Ayurveda, Mindfulness, Buddhism, the teachings are always shifting and evolving. And yet it has always been real yoga for real people. Thanks so much for watching. If you liked the video please give it a thumbs up and subscribe. We appreciate your presence here so very much! Tagged as: best compost cookies in Victoria B.C., Butchart Gardens, Butchart Gardens in May, Butchart Gardens in Victoria, Butchart gardens story, Butchart Gardens tour, Butchart Gardens Vancouver Island Canada, Butchart Gardens Victoria B.C. 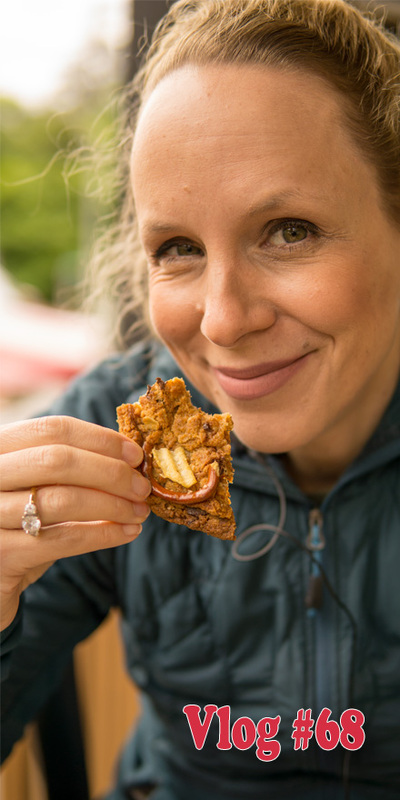 Canada, Butchart Gardens video, compost cookies, history of Butchart Gardens, Mosi Bakery West Saanich Road and Prospect Lake, most beautiful gardens in Canada, Top things to do in Victoria B.C., what is a compost cookie, where to get compost cookies in Victoria B.C.